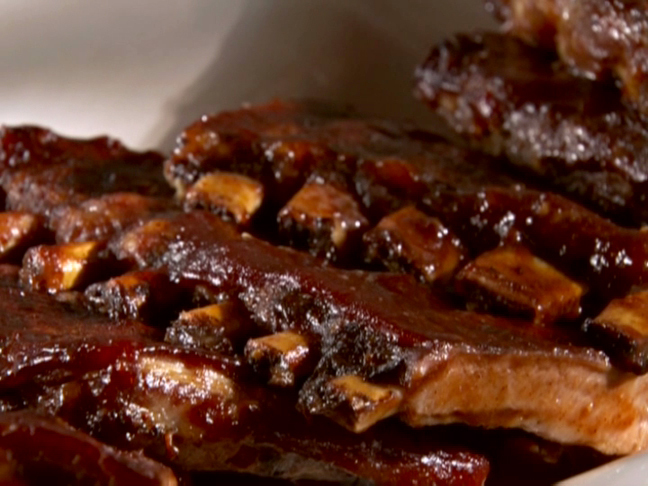 Place ribs in a 13x9 inch baking dish; pierce ribs with a fork. Pour cola and pie filling over ribs, turning coat; cover and refrigerate overnight. Let ribs stand at room temperature for 30 minutes. In a medium saucepan, bring reserved marinade to boil over medium high heat. Boil, stirring occasionally, for 20 to 25 minutes, or until mixture reduces to a thick glaze. Let cool slightly. Serve glaze over ribs. End.